A freelance photography job goes downhill fast when Lily Anders’ boyfriend dumps her and disappears from the campsite, leaving her stranded in the middle of the Blue Ridge Mountains. Feeling lost, heartbroken, and afraid, Lily follows a mysterious melody through the wilderness. She never would have guessed the source of the music would reveal that legendary figures of Greek mythology really existed, and she could be one of them. Ever since he was cursed, Ariston has only wanted one thing—to be human again. He has searched the globe for a nymph to free him, but over three thousand years of failure has pushed him into a life of solitude. Ariston believes he’s finally found the salvation he’s longed for when he finds Lily spying on him in the forest. Unfortunately, he has to convince her to like him first. What seems to be the Fates bringing them together in time for the Satyr Moon proves to be an elaborate scheme with macabre intentions. 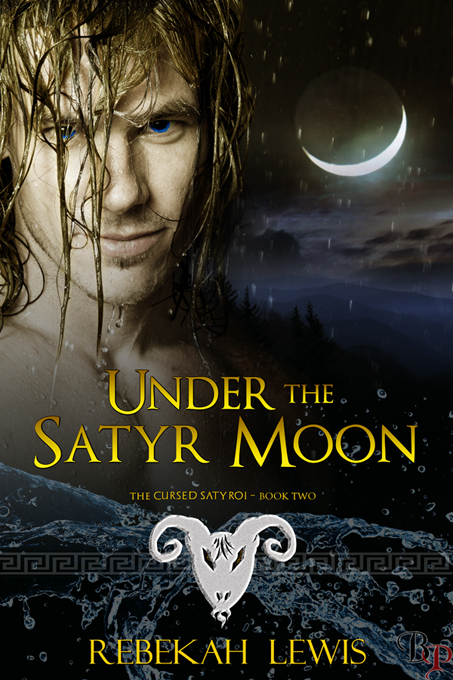 Dionysus has sent Ariston’s estranged brother, Adonis, to ensure the curse cannot be broken, and nothing tosses cold water over the flame of seduction like a twin seeking vengeance.